This volume accompanies a major international loan exhibition featuring more than three hundred works of art, many rarely or never before seen in the United States. It traces the development of gold working and other luxury arts in the Americas from antiquity until the arrival of Europeans in the early sixteenth century. Presenting spectacular works from recent excavations in Peru, Colombia, Panama, Costa Rica, Guatemala, and Mexico, this exhibition focuses on specific places and times—crucibles of innovation—where artistic exchange, rivalry, and creativity led to the production of some of the greatest works of art known from the ancient Americas. The book and exhibition explore not only artistic practices but also the historical, cultural, social, and political conditions in which luxury arts were produced and circulated, alongside their religious meanings and ritual functions. Joanne Pillsbury is the Andrall E. Pearson Curator in the Department of the Arts of Africa, Oceania, and the Americas at the Metropolitan Museum of Art. Timothy Potts is director of the J. Paul Getty Museum. Kim N. Richter is senior research specialist in the Director’s Office at the Getty Research Institute. 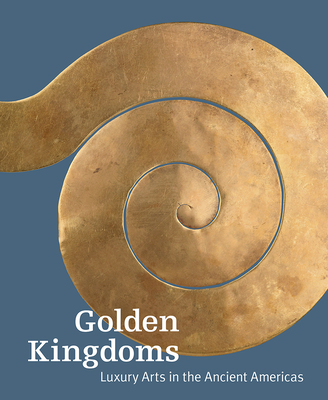 “A lush compendium of ornaments, textiles and other objects associated with the gold-working cultures from the ancient Americas."